The eyes are often deemed the most striking and defining feature of the face. The shape and condition of the eyes can dramatically affect the face’s holistic image and how it is perceived. As one of the most expressive and telling facial traits, the eyes are a crucial indicator of age and maturity, and as such, require meticulous preservation for those wishing to maintain a youthful appearance. Over time, our eyes adapt to a variety of factors, such as genetics, skin type, sun damage and most commonly, the ageing process. Muscle layers beneath the eyelid skin being to weaken and fat deposits shift accordingly, while the breaking down of collagen and elastin cause the skin to become lax. As a result, eyelids can begin to sag and droop. Other changes include heaviness or puffiness around the eyes that often prompt a tired or fatigued look that may prematurely age the face. Sagging eyelids can also impair vision, as the peripheral visual field can become narrow due to drooping or excess skin on the eyelids. 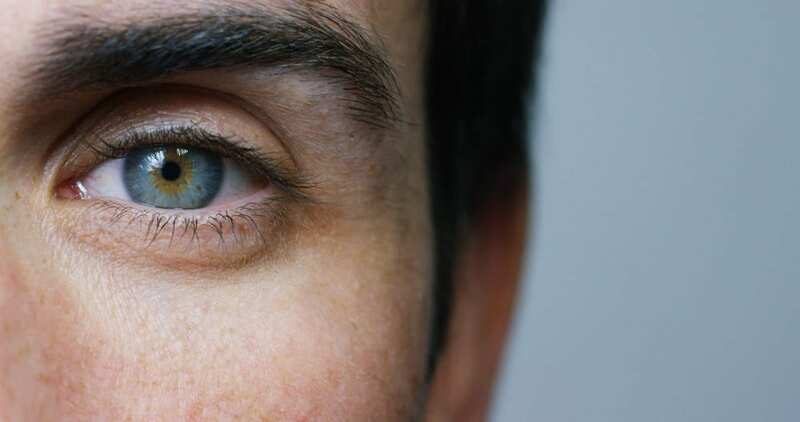 To compensate, patients often find that they instinctively raise their eyebrows to enable better vision, which may lead to the formation of forehead creases and cause eyes to become fatigued, strained and weary. While it is difficult to protect the eyes from such factors, it is possible to correct these concerns and create a more energetic, naturally vibrant appearance. Eyelid surgery, or blepharoplasty, is often recommended for men and women who wish to mend the damage that has occurred over time and rejuvenate the eyelids for a healthier, revitalised facial appearance. Depending on your needs and circumstances, this can be completed through an upper eyelid lift, lower eyelid lift or a combination of the two. An upper eyelid lift is designed to remove excess skin and fat from the upper eyelid to reduce heaviness or sagging in the area. This treatment helps to reverse the effects of ageing by producing a more alert, dynamic look overall. The procedure begins with an incision made in the natural crease of the upper eyelid. Fat deposits may then be reduced or redistributed, resulting in a smoother contour of the upper eyelids. The incision is then carefully closed with very fine stitches. This surgery takes approximately 30 minutes and leaves patients with a refreshed, more youthful appearance. The procedure may also improve the line of sight in patients who have significant hooding in the upper lid that impairs their vision. A lower eyelid lift is designed to treat excess skin, puffiness or hollowness under the eyes. This surgery can correct the worn look by removing dark circles or bags for a revitalised and rested facial appearance. The procedure begins with an incision made either underneath the eyelashes (subciliary approach) or inside the eyelid (transconjunctival approach). The skin and muscle in the area are then elevated, and any excess fat may be removed or redistributed. A small strip of skin may also be removed if necessary, and the incision is then closed with very fine stitches. Lower eyelid surgery helps to reduce the hollow area below the eyes and aims to refine the overall contour of the eyes. This procedure is highly customisable and can be tailored to your precise needs and facial structure. This treatment takes approximately one hour to perform. The skin around the eyes is the thinnest skin on the body. Therefore, scars that may form where the incision is made generally heal well and will most likely be unnoticeable after healing is complete. While eyelid surgery can be performed either on the upper or lower eyelid, many patients have benefited from a combination of the two procedures. A combined treatment means an opportunity to perform a more comprehensive, thorough rejuvenation of the eyelids with a single recovery period afterward. The result of performing both surgeries simultaneously is a more holistic improvement of the facial shape and structure. A procedure that includes both upper and lower eyelid surgery takes approximately 1.5 to 2 hours. Dr Ansari offers patients an advanced method of blepharoplasty: a bladeless technique that reduces scarring, swelling and recovery time, and enhances precision and comfort without compromising results. This method uses an energy-based device rather than a scalpel, which also lessens bleeding and bruising after the procedure. Traditional eyelid surgery generally demands a higher expense, and patients are often left with a longer downtime requirement and a visible, undesired scar. Dr Ansari’s advanced technique is a safer, affordable option that is more effective in correcting droopy eyelids and improving the holistic facial aesthetic. Through this method of blepharoplasty, Dr Ansari’s primary goal is to reveal a naturally vibrant and revitalised face, improving your self-esteem, confidence and motivation as a result. For those seeking to rejuvenate the area around their eyes but wish to bypass surgery, there are various non-surgical approaches available. Dermal fillers are an excellent, non-surgical method used to treat tear troughs and dark circles underneath the eyes. Tear troughs are the grooves that sit between the lower eyelid and the cheeks, often producing a hollow or shaded area. Dermal fillers help to correct this by lifting the area and reducing the depth of the trough. The added support under the eyelid results in a fuller, less fatigued and livelier appearance. For a thorough non-surgical enhancement, dermal fillers are often combined with anti-wrinkle injections to lift the area around the eyes. While the fillers add volume and help to support the eyelid, the anti-wrinkle injections serve to remove creases and lines around the eyes. The result is a subtle, naturally refreshed appearance to the eyes and a more aesthetically pleasing contour of the whole face. Eyelid surgery is an excellent tool for those seeking to correct droopy, sagging or puffy eyelids. This treatment gives the face greater energy and vitality and helps to improve its overall structure and appearance. If you are interested in undergoing this procedure, Dr Ansari can discuss with you the most suitable and effective options for your needs and circumstances. He will assess your situation, concerns and goals and will work with you to create a plan that will refine and unearth your ideal facial aesthetic. To book a consultation, contact My Cosmetic Clinic on 1300 85 49 89 or make an appointment online.